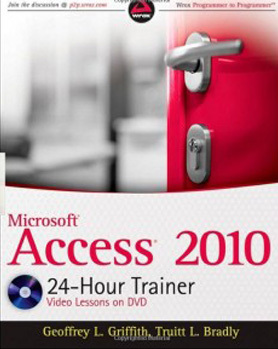 Microsoft® Access is the most popular database system in the world and this practical guide will teach you how to use the features of Access 2010 in short, understandable lessons.”This book is designed for beginner- to intermediate-level Access users and covers the basics of building and working with the major features of the program. Over 60 lessons are included to discuss these features and provide step-by-step examples showing you exactly how each feature can be implemented in a real world Access database application. The accompanying DVD provides clear, easy-to-follow videos of the authors demonstrating each of the examples discussed in the book, as well as extra commentary, so that no reader is left behind! Millions of people use Access database applications, and thousands of developers create new Access database applications daily. Access 2010 brings better integration with SQL Server and enhanced XML support; this Wrox guide shows developers how to take advantage of these and other new improvements. With in-depth coverage of VBA, macros, and other programming methods for building Access applications, this book also provides real-world code examples to demonstrate each topic. The Access 2010 Programmer’s Reference book is a comprehensive guide to the best-of-breed techniques for programming Access applications.